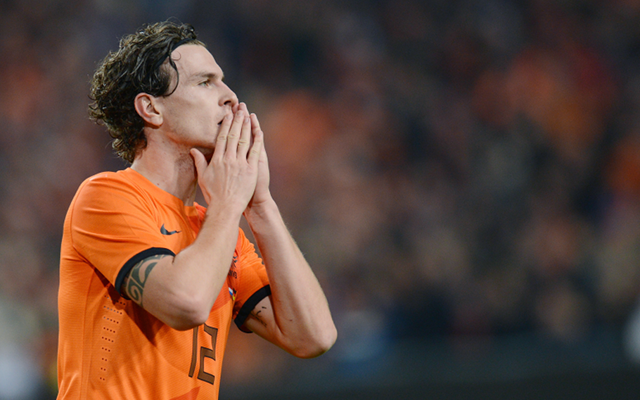 United boss keen to sign Feyenoord right-back. Manchester United manager Louis van Gaal is looking at a number of players from his Netherlands World Cup squad as possible transfer targets for next season, according to the Daily Mail. The top target for the new Red Devils boss is thought to be Feyenoord right-back Daryl Janmaat, though club scouts have also been called to assess the performances of Stefan de Vrij and Bruno Martins Indi at this summer’s finals in Brazil. The Dutch national side have performed well so far in the competition, springing a highly impressive and surprising 5-1 win over reigning champions Spain, and van Gaal is now keen to work with some of these players at Old Trafford next season. Janmaat has previously been linked with the likes of Arsenal and Tottenham Hotspur, and could be an improvement on the likes of Rafael, Chris Smalling and Phil Jones in the right-back slot, with none of those three players truly excelling in that role in 2013/14. United have already brought in two major signings in Luke Shaw and Ander Herrera ahead of van Gaal’s official start as their new manager, and he is seemingly ready to continue being busy in the transfer market despite his World Cup commitments for his country.